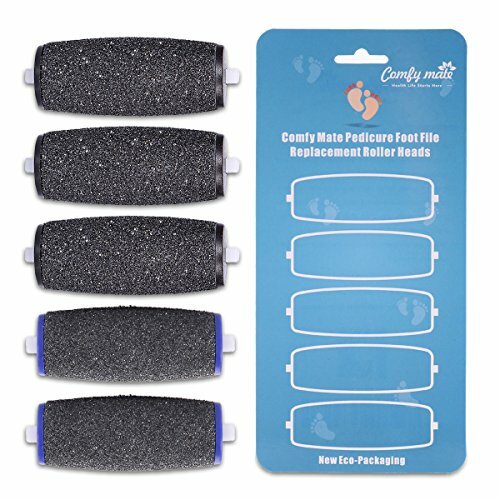 THE MOST THOUGHTFUL AND VALUABLE 5 PACK - 3 Extra Coarse for removing thicker cuticle more effectively and quickly, 2 Regular Coarse for daily maintenance; Retrieve your beautiful feet in no time. TOP QUALITY ENSURED & GREAT DEAL - Both the price and the quality are the best in the market; it has been chosen as Amazon's Choice and Best Seller. 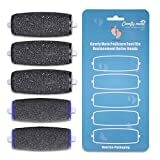 Disclaimer :The Comfy Mate replacement rollers are in no way connected or affiliated to the trademarked manufacturing companies Scholl®, Dr.Scholl® and Amopé®. The Pedi Solutions is an independent manufacturer of quality replacement rollers.